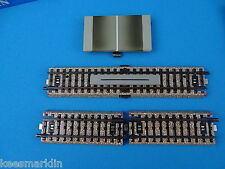 Marklin 3601 Curved M track 50-ies with fixed mid-track 50 pcs. 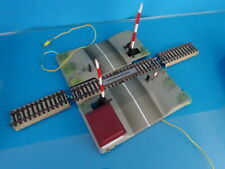 Marklin 7171 Rubber rail sound suppressors M Track set 50 pcs. 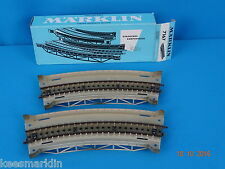 Marklin 5100 Standard Curved M track set of 10 pcs. marklin 7250 Pier foundation for bridges set of 10 pcs. 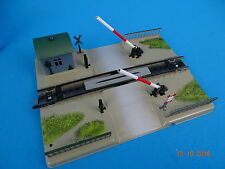 Marklin 5107 Small Straight "M" Track Set of 5 pcs. Marklin 5015 Isolator indicator M track 60-ies item set of 5 pcs.